Super Displacement is a hectic game in which you bounce around and avoid touching the walls. If you like the sound of that, feel free to continue reading. As some of you who keep up-to-date on my work may know, I recently dropped another project to remake "Don't Be Still". After starting work on "Don't Be Still", I realized that the initial mechanic had no place in the rest of the game, and I renamed it "Super Displacement". 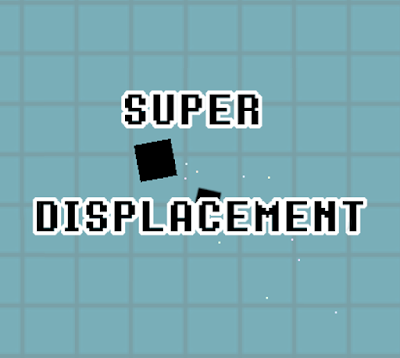 The premise of "Super Displacement" is very simple - don't touch the walls, and shoot the rectangles that are trying to bounce you into the walls. Playing it myself(I may be biased) and receiving feedback from friends(also biased), it seems to feel pretty good. I feel confident in saying that this is my best work yet, though that doesn't mean much given my portfolio of abject failures. Unfortunately, screenshots do not do the frenzied nature of the game any justice. 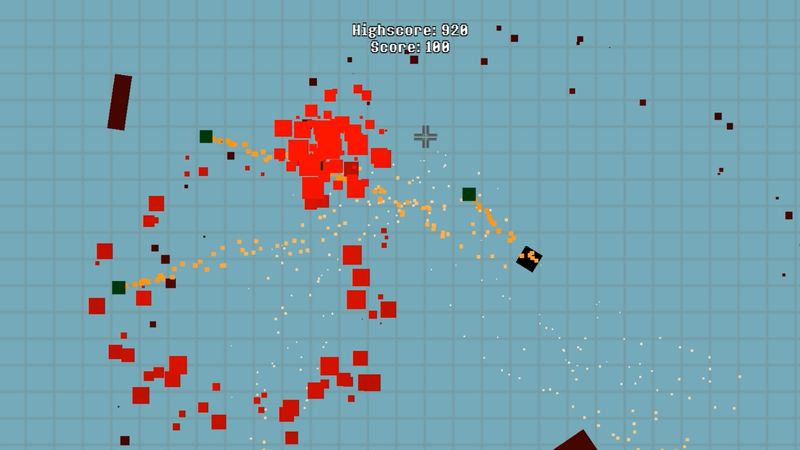 If you like screenshaking, explosions and lots of bouncing around, then this game is probably going to be enjoyable for you. I've spent a lot of time in this post just "selling" this (free and unreleased) game to you, so now I'm going to talk about something which no one online seems to tell you. Also, if you're not programmatically inclined or don't use the Godot engine, this might be of limited usefulness for you. So, Super Displacement uses save data to store highscores and a couple of other statistics. Unfortunately for me, due to Godot's rather limited documentation no one told me that Godot fucks up when you try to save the file as a resource("res://...") rather than as a user file("user://..."). Apparently, resources can't be written to in the same way that user files can. If there's a takeaway from this short segment, it'd be "Don't be afraid of using user files because resource files have annoyed me and taken an hour of my life from me and I hate them forever".